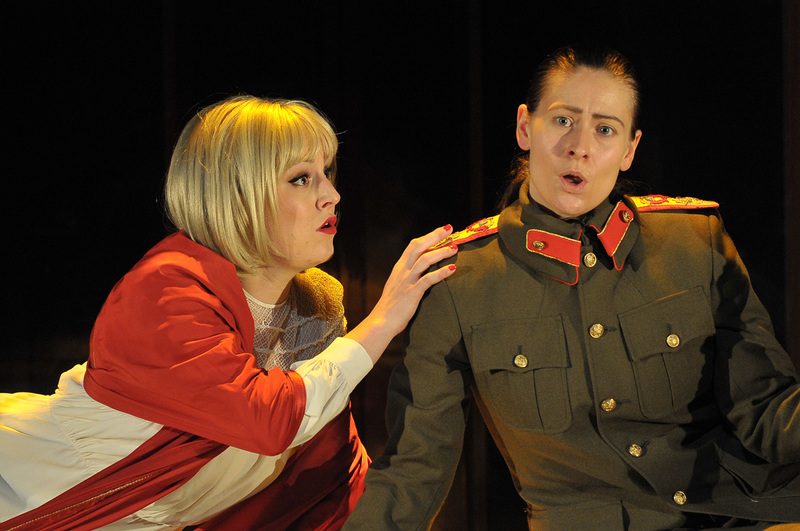 Many opera companies are seeking to help singers bridge the gap between post-graduate study and their full career. 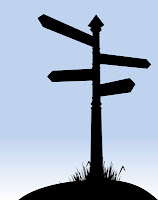 Some voice types require a long further period of work before the voice comes into its own, this is particularly true of dramatic sopranos, and also many male voice types. At Grange Park Opera they have a you artists scheme, the Rising Stars, who do a production each year. But in addition there is their Scholarship Fund, which helps singers with lessons and coachings for particular roles. Their website includes some fascinating testimonials about what can be achieved by such means. 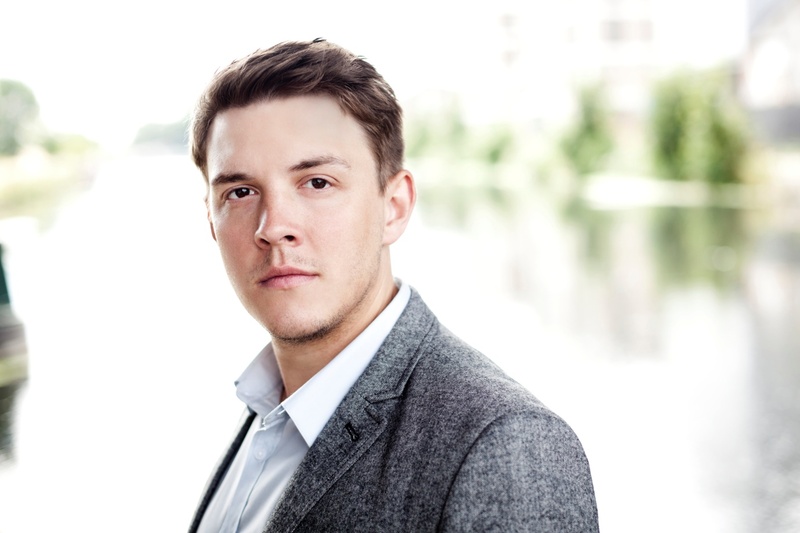 Now the website also includes a fascinating blog post from tenor Anthony Flaum who is studying at the National Opera studio, it gives a fascinating insight into a young singers world. We attended one of the Courtauld Lates during the run of the Courtauld Gallery's previous exhibition, and had enjoyed the mixture of art, talks and music (see my blog entry), so had every intention of going along on the evening of Thursday 30 November for a similar event themed on their Peter Lely: A Lyrical Vision exhibition. 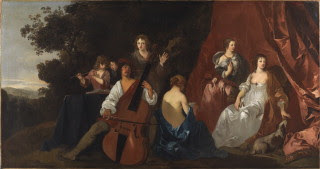 Then an email arrived from someone I had sung with who works at the gallery, with information about a choir being formed to rehearse and perform music from Lely's time. All from scratch. So at 5pm yesterday (30 November) I found myself in the lecture theatre of the Courtauld Institute (which is in Somerset House, next door to the Courtauld Gallery) with a varied mix of people all who had come to sing. Admittedly there was no flag waving or ‘Land of Hope and Glory’ but nevertheless this was an evening the London Song Festival could be proud of. Now in its 6th year, the London Song Festival, founded by Nigel Foster aims to ‘halt the decline of the song recital’. A mixture of showcase concerts and masterclasses run throughout October and November. The showcase concerts feature young professional singers and the workshops are aimed at GCSE and A level students as well as singers from Music College. Last night’s concert (28 November) was billed as being built around the theme of ‘Songs of Wandering and of the Night’, but both ‘wandering’ and ‘night’ were very inventively interpreted. The singers were Ruby Hughes and Jonathan McGovern. Ruby studied at Chetham’s, Guildhall and Munich and is currently a New Generation Artist at BBC Radio 3. Jonathon studied at King’s College London, Royal Academy of Music and Royal Academy Opera, and is a Britten-Pears Young artist and an Associate artist with Classical Opera. Both have shining credentials, having won prizes galore before settling into recital and opera, and both have sung with the ENO and the BBC Philharmonic. The accompanist was Nigel Foster himself. If you are a Friend of English National Opera, then you probably received an e-mail recently about a carol concert next week. This is being given by the ENO Community Choir, a group which meets on Thursday evenings during term time. They sing a varied repertoire from pop to opera, world music and seasonal classics. They are directed by Rachel Dawson and are open to anyone, all they ask is that you work on your voice and commit to attending weekly rehearsals. More information from the group's page on the ENO website. This year's British Composer Awards will be announced at an awards ceremony at the Goldsmith's Hall on Monday 3 December. Amazingly the awards are 10 years old. When they were first set up by the British Academy of Songwriters and Composers you wondered why no-one had thought of it earlier, and now it has become a brilliant part of the musical year. This year, to celebrate the 10th anniversary, there is also a concert on Wednesday 5th December at the Queen Elizabeth Hall on London's South Bank. This will feature 11 compositions from previous awards, performed by Endymion and the Vasari Singers. Monteverdi's operas are the earliest to have a regular place in the repertoire. Whilst his first opera Orfeo was written for the Mantuan Court, his final one L'Incoronazione di Poppea was written for the public theatre in Venice. The performances there were a commercial enterprise and the operas structured in a way which appealed to the Venetian public. This involved a mixture of comic and serious in the same work, something which was distinctive to Venetian opera. Such works were not, however, haphazard with the lower class characters being the comic ones and the upper class ones being the serious. You only have to compare Cavalli's Serse (written for Venice) and Handel's Serse (written for London) to see how time and distance had changed the way opera was structured. Handel's version drops all but one servant, and all the comic flirting and liaisons disappear. But the Venetian idea of a mixture of comic and serious continued into the 18th century when Goldoni wrote the librettos for a series of operas by Galuppi. These, with their serious masters and comic servants, were an important influence on Mozart. Though Busenello's libretto for Monteveredi's L'Incoronazione di Poppea is quite tightly constructed, it still results in a rather diverse plot, a sprawling work with a substantial running time. 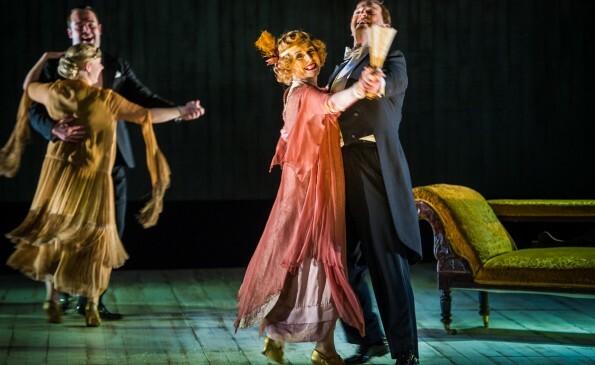 It is also a style of opera which is entirely absent from our opera houses (early 19th century Italian operas such as Rossini's The Thieving Magpie use the semi-seria genre but few more recent ones do). So directors tend to go at it with a pair of shears, and no production is ever quite the same as the previous. The new production at the Royal College of Music directed by James Conway, designed by Samai Blak, which we saw on 28 November, uses a heavily cut version with emphasises the drama of Monteverdi's opera at the expense of other elements. The newsletter for the Friends of the National Churches Trust popped into my letterbox recently. Skimming through it, amongst the information about grants given to churches, was a note about Orlando Jopling and his Cello Pilgrimage. Orlando Jopling has now given over 75 recitals of Bach's Suites for solo cello, in an amazing variety of churches, from huge light-filled Wren masterpieces in city centres to intimate and atmospheric medieval churches on remote moorland. And so far raised over £50,000. 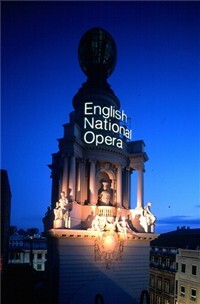 English Touring Opera has confirmed its plans for 2013, and quite a programme it is too. 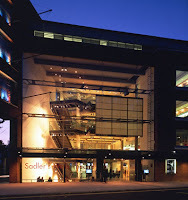 As already announced, their spring tour involves Mozart's Cosi van tutte, Verdi's Simon Boccanegra, and Donizetti's L'assiedo di Calais; sponsorship from the Peter Moores Foundation meaning that they can tour the Verdi with a slightly bigger orchestra than would otherwise be possible. In the autumn, the trio of operas are equally challenging in different ways, Monteverdi's L'Incoronazione di Poppea, Cavalli's Giasone and Handel's Agrippina. In its present incarnation, the choir of Merton College, Oxford has existed since 2008 when Benjamin Nicholas and Peter Phillips became the Reed Rubin Directors of Music. 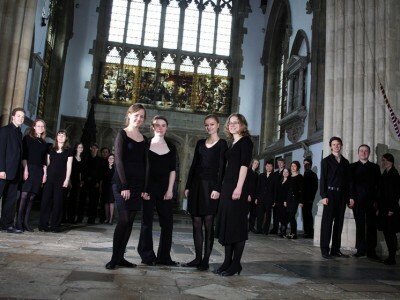 Consisting of undergraduates and post-graduates, many holding choral scholarships at Merton College, the choir has rapidly developed a fine reputation. 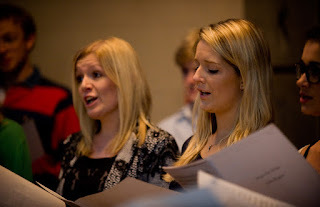 2014 will see the college's 750th anniversary celebrations and as a built up to this, the college has started commissioning music for the choir, starting with the Seven Magnificat Antiphons for the Merton Choirbook, which were premiered earlier this year. The choir brought these along with a programme of other Advent Music to Cadogan Hall on Tuesday 27 November. Following their successful debut concert in November at Birmingham's Adrian Boult Hall, the People's Orchestra have two further concerts in December. One, at Symphony Hall in Birmingham, is the Radio WM Christmas concert and the other, at Millennium Point, is the premiere of The Hobbit. Midlands based The People's Orchestra was set this year to be a new amateur orchestra filling in a gap in provision when students leave youth orchestras. The orchestra specialises in film music and their debut concert, Trailers combined the film music, with Indian Dance and Drumming, and two completely new pieces of music created by the members. The South Bank Centre's ambitious The Rest is Noise festival runs for all of 2013 and aims to survey key moments in 20th century music (see my blog entry previewing the festival). The BBC has announced plans for a partnership with the South Bank Centre, with BBC Four and BBC Radio 3 offering complementary programming, plus the participation of the BBC Concert Orchestra in the festival itself. You might not have actually heard of the Borletti Buitoni Trust, but you almost certainly have heard one of the artists supported by them. The Trust provides financial support to young artists at the beginning of their career and has an impressive roster of alumni. Now some of these are coming back to help the Trust celebrate its 10th birthday in May 2013 with a range of concerts and events at the South Bank. Richard Chapman is a classically trained guitarist who has decided to stretch the envelope and has released an EP (on digital download) of his own music, pop-folk in feel, but still with a challenging guitar part. If you have ever been dissatisfied with the finger-work and with the eternal strumming on popular guitar-led music, then this is for you. Most of Massenet's operas are about the female voice, not only does he seem to have been in love with it but many of his works were inspired by his love for particular singers. His infatuation with the soprano Sibyl Sanderson brought a clutch of works written for her in the 1880's and 1890's. Later mezzo-soprano Lucy Arbell would have roles in six of the composer's final operas. These later works were nearly all premiered at Monte Carlo rather than Paris; Massenet seems to have not been able to recapture the Parisian success of his early career. 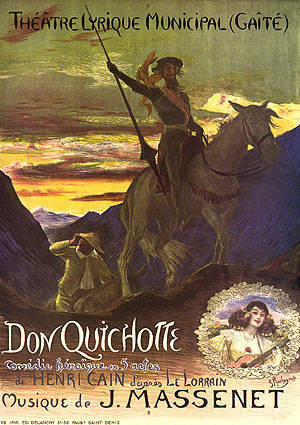 It is from this later period that Don Quichotte dates. Written for the great Russian bass Feodor Chalyiapin, with Lucy Arbell as Dulcinee. It was to prove successful in Monte Carlo and in Paris and would give the composer a late success. Before last night's BBC Radio 3 broadcast of English National Opera's new production of Ralph Vaughan Williams's Pilgrims Progress, there was the usual introduction with an interview with Roland Wood (who sang Pilgrim and Bunyan) and with the director, Yoshi Oida. It was illuminating and fascinating as Oida had a quite distinctive take on Bunyan's story (he'd not read the book until asked to direct the opera). When we saw the opera live, I had gathered a lot of what Oida seemed to be saying by the end of the opera. But I could not help feeling that to have heard (or read) Oida's short talk before seeing the production at the London Coliseum would have been helpful. In 2003 the Gold Lyre of Ur was damages by looters at the Iraq Museum in Baghdad. The Lyre is the earliest stringed instrument ever found. In 2004 harpist Andrew Lowings began a project to build an authentic playable reproduction of the lyre. 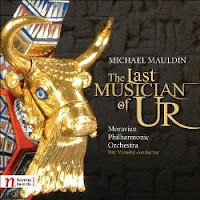 He asked composer Michael Mauldin if he could use some of Mauldin's harp music to help promote the project. This collaboration was to grow, in 2009, into a commission for an orchestral piece with prominent harp part, telling the story of the Last Musician of Ur. The January to April season at the Handel House museum has some wonderful events lined up, alongside their new exhibition about Charles Jennens, the librettist to Handel's oratorios. Concerts include Italian opera in England, new work from Kerry Andrews their previous composer-in-residence and the opportunity to sing in Handel's Saul. 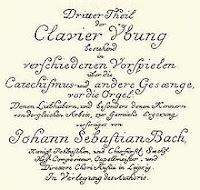 Charles Jennens provided Handel with the librettos of two of his finest dramatic oratorios, Saul and Belshazzar as well as compiling the text of Messiah. He was curious and rather difficult person, with rather definite ideas about Handel's music and how his words should be set. His slightly dyspeptic marginalia in Mainwaring's biography of Handel are characteristic, but also very useful to historians. The London Symphony Orchestra's Winter Season now on, includes some rather interesting concentrations on individual artists and composers. They are having a mini Szymanowski festival with Valery Gergiev conducting Szymanowski's 3rd and 4th symphonies, plus the 2nd violin concerto, and groups of concerts devoted violinist Leonidas Kavakos and composers Mark Antony Turnage and John Adams. 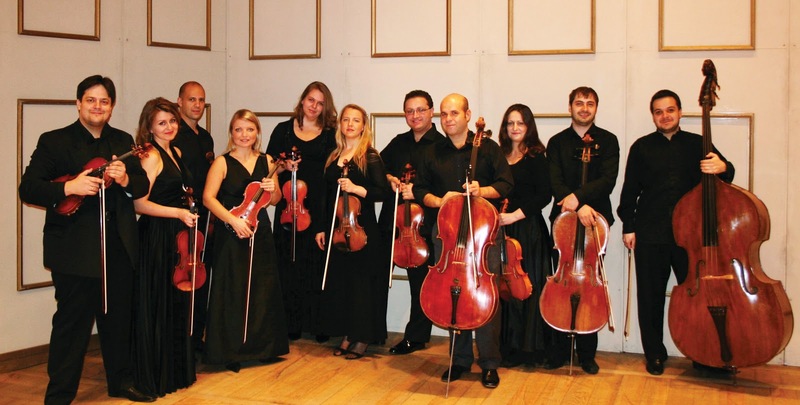 The Russian Virtuosi of Europe were formed in 2004 by the London-based Russian violinist Yuri Zhislin, bringing together young players from the Russian School of string playing. 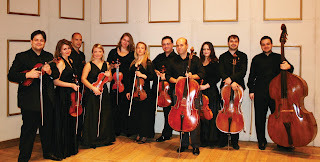 The ensemble's appearance at Cadogan Hall on Friday 23 November, was the first chance to hear them in London this season. The concert also gave us the opportunity to hear the work of Rachael Young, a young New Zealand born cellist turned conductor who has been working with Leonard Grin. Their programme included three contrasting works by Russian composers, Schnittke, Shostakovitch and Tchaikovsky. Harry Christophers and the Sixteen are looking for young singers to take part in the next Genesis Sixteen, their free choral training programme for 18 to 23 year olds. Founded in 2011 by the Sixteen in partnership with the Genesis Foundation, Genesis Sixteen is a training programme for singers keen on ensemble singing; the first such programme in the UK. It aims to bridge the gap from student to professional practitioner. The 22 singers chosen will take part in four week-long and weekend courses, receive group tuition, individual mentoring from members of The Sixteen and master-classes from vocal experts. When the Peter Moores Foundation sponsored recording of Bizet's Carmen in English was recorded for Chandos, one of the first jobs was to prepare an edition of the opera for the performers to use. Richard Langham Smith's new edition is published by Peters and forms a new Urtext edition. The strange thing is not that it should need doing, after all most 19th century operas are getting new Urtext editions to help remove the inaccuracies that have crept in. But the oddity about Bizet's Carmen is that there has never been a coherent edition which reflects what was first performed and that for much of Carmen's popularity, the edition used bore striking differences from what was first performed. So what was the problem? So he is going. It was inevitable that Tony Hall would leave the Royal Opera House at some time and we must think ourselves lucky that he has devoted 11 years to Covent Garden and managed a quiet transformation. 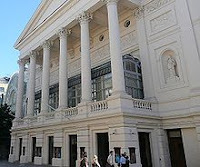 Whoever is chosen in his place, it will mean that Coven Garden will start next year with both a new Director of Opera (Kasper Holten) and a new Chief Executive, so we have interesting times ahead. 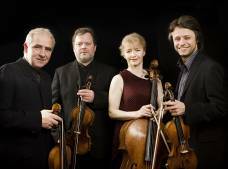 From the 6 to 8 December, the Brodsky Quartet are celebrating their 40th anniversary with a series of events at Kings Place, in London. The quartet have never been ones to simply follow the well trod route, and unpredictable as ever their concerts at Kings Place include Schubert and George Crumb, a celebration of jazz, blues and rock, and the opportunity for the audience to choose the programme. Christine Brewer's appearances in the UK are not that frequent, so it was an especial pleasure to encounter her in recital accompanied by at the Wimbledon Music Festival at St John's Church, SW19 on Thursday 22 November. The first half of her programme consisted of Richard Strauss's Four Last Songs and Richard Wagner's Wesendonck Lieder with the second half being taken up with 20th century songs, all written as encore type pieces for sopranos such as Kirsten Flagstad, Eileen Farrell and Helen Traubel. 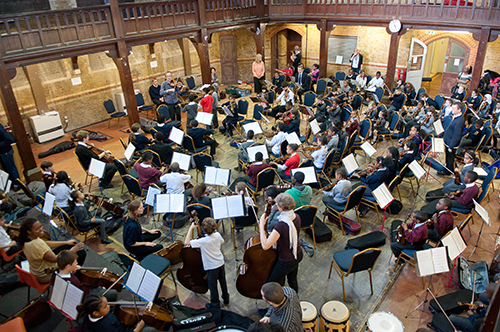 Four times a week after school, children from In Harmony Lambeth meet for their after school orchestra. The children receive up to 5 hours of music tuition during school hours, but membership of the orchestra is essential to the In Harmony Lambeth project. In fact, as soon as a child gets his or her instrument, they can join the most junior orchestra. I went along on Thursday to attend a rehearsal of the Holst Ensemble, In Harmony Lambeth's senior orchestra. If you are one of those people who gets annoyed (as I do) by the names of places being used as extended advertising (e.g. the O2 Arena) then the news from the London Coliseum will not please. ENO are re-evaluating their sponsorship and the naming rights to the London Coliseum are potentially available. This is a practice common in football stadiums, but frankly I would be sad if we had to extend it to theatres and the like, even though it could bring in potential revenue. What's in a name, is it worth having the London Coliseum branded if the money brought us, say, a new Ring Cycle? 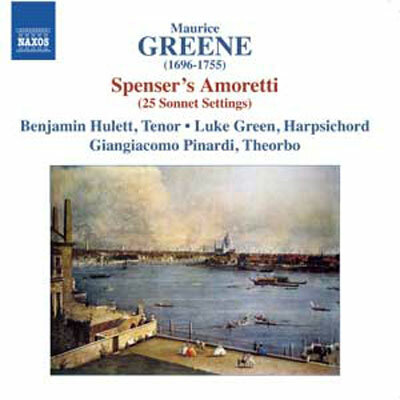 I have already blogged about the performance of Maurice Greene's Amoretti at St George's Church, Hanover Square on December 7. One of the performers, harpsichordist Luke Green, has let me know that there are two other opportunities to hear the programme as they are performing it on Tuesday 4 December at Fitzwilliam College, Cambridge and on Wednesday 5 December at New College Oxford. The Oxford performance will be prefaced by a talk by H. Diack Johnstone. The performers are Benjamin Hulett (tenor), Giangiacomo Pinardi (theorbo) and Luke Green (harpsichord). They will be performing Maurice Green's complete 1748 song-cycle setting Spenser's Amoretti and will be celebrating the launch of their Naxos recording of the work. Andrew Carwood and his ensemble, the Cardinall's Musick, brought their programme Il Siglio D'Oro: Muisc of Spain's Golden Age to St Paul's Church, SW19 as part of the Wimbledon Music Festival on Wednesday 21 November. Directed by Carwood, who provided illuminating and entertaining spoken introductions to the programme, the eight singers performed music by Guerrero, Morales, Esquivel, Victoria, Esquivel and Lobo, all of it dedicated in some way to the Virgin Mary. 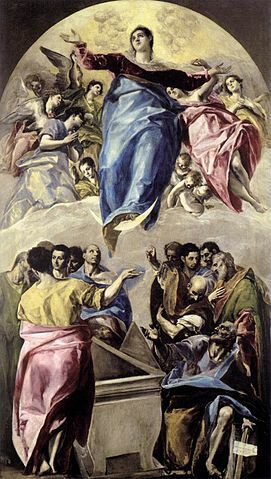 In one of his introductions Carwood explained that the Western Church, unlike the Orthodox Church, had no female personification in its representation of God. So at a time when God was often a man of war, it was to the Virgin that people turned for the feminine virtues. And this is reflected in the amazing flowering of music dedicated to her at the period. As part of the London 2012 Cultural Olympiad there was a strand called Unlimited which encouraged deaf and disabled artists to take risks, to create work that is exceptional. 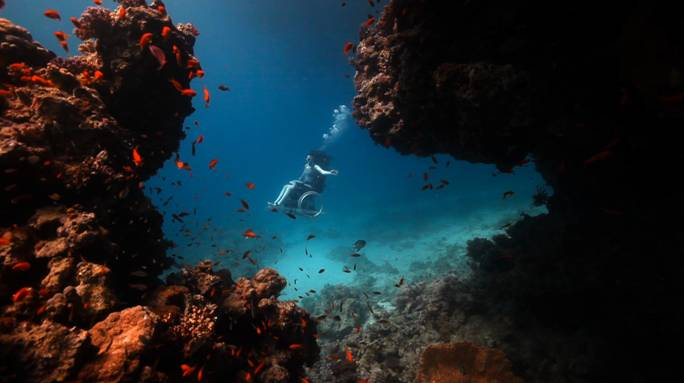 To celebrate The Space, the Arts Council's digital download service, now has a new documentary, Total Permission, in which Charles Hazelwood encounters 12 of the artists commissioned by Unlimited. In the film Hazelwood talks to the artists, reviews their work and talks to audience members at the Southbank Centre's Unlimited Festival. Hazelwood is himself the founder of the British Paraorchestra, the UK's first orchestra featuring world class musicians with disabilities. As a rule I prefer not to use acronyms, but the Wales Millennium Centre is such a cumbersome name that perhaps WMC is preferable. Still, it is an attractive building with far more to it than you realise. The weekend of 24/25 November is you can explore further, as they are having an open weekend, your chance to get to see what happens back stage and in other nooks and crannies of the building. There are performances in the Weston Studio including children's shows, a circus aerial workshop and a drama workshop, events in the BBC's Hoddinott Hall with a free performance from the BBC National Orchestra of Wales and a 'try out an instrument' workshop. There is a youth opera workshop in the WNO's Orchestra Hall and throughout the day there are performances on the main stage. Further information from the Wales Milennium Centre website. The first outlines of next year's London Handel Festival have come in, with some rather tempting offerings, including Handel's penultimate Italian opera, three of his oratorios with Italian names and opera by his contemporaries Telemann and Hasse. Both Handel's early Italian oratorios are being performed. Il trionfo del tempo e del disinganno at St George's Hanover Square on 21 March, with is pair Il Resurrezione at the Wigmore Hall on 1 April. The festival concludes with a performance on 16 April at St George's of one of Handel's most quintessentially English oratorios, L'Allegro, il Penseroso ed il Moderato with its text based on Milton's poems. And this year's opera will be Imeneo. 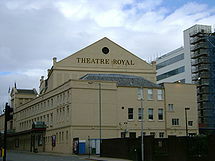 When I first visited the Theatre Royal Glasgow in 1976, the theatre was still a newly refurbished novelty. The auditorium was, and remains, a complete delight. But there was no disguising the fact that the foyer areas left something to be desired, despite being attractively designed.. Part of this stems from the fact that when the theatre was acquired originally by Scottish Opera, not all of the footprint of the original foyer space could be acquired. To a certain extent this has been remedied over the years, but the public spaces have remained rather resolutely cramped. Now this is seeking to be remedied. 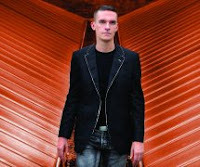 Matthew Barley's Around Britten 2013 tour kicks off on 15 January in Southampton. The tour sees cellist Barley performing in at least 100 venues in celebration of Britten's 100th anniversary. The tour will involve concerts plus workshops and special events, with Barley taking Britten's music to as wide an audience as possible using a variety of venues including cathedrals, concert halls and castles, a light house, a barn, a cave and a number of National Trust properties. On the day Britten died (4 December), Barley will perform at the Red House, and this will be webcast. In Harmony Lambeth's Winter concert takes place on Wednesday 12 December at 5pm at the Clore Ballroom on London's South Bank. The concert will feature the Stockwell Children's Orchestra with over 100 children from the Lansdowne Green estate in South London. And one of the new In Harmony projects, In Harmony Leeds, will be giving its inaugural concert on Friday 7 December at 11.15am . In Harmony Liverpool has its Christmas Concert on Friday 14 December at 5pm at St. Francis Xavier Church. The dates for next year's Buxton Festival (the 34th) have come out. The double bill of Gounod's La Colombe and Saint-Saens' La Princesse Jaune opens the festival on 5 July 2013, with further performances on 8, 11, 14 (Matinee), 20 July. The other festival production is Mozart's La Finta Giardiniera which opens on 6 July, with further performances on 9, 12, 18 and 21 (Matinee). The two matinee performances mean that those wishing to travel up to Buxton for the day can see both festival productions. 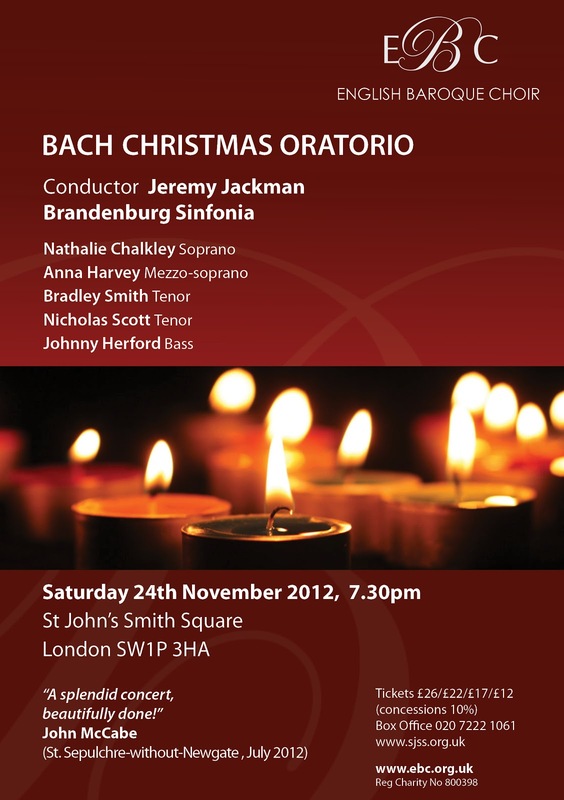 A chance to hear the complete Bach Christmas Oratorio on Saturday 24 November with not a carol in sight. 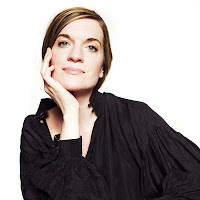 The English Baroque Choir and Brandenburg Soloists perform the work at St. John's Smith Square with soloists Nathalie Chalkley, Anna Harvey, Bradley Smith, Nicholas Scott and Johnny Herford. 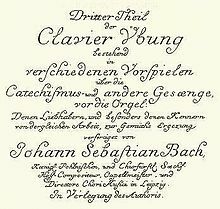 Further information from the English Baroque Choir website. Sadler's Wells Spring/Summer 2013 brochure popped through my letter box the other day (I'm an old fashioned boy and still prefer print to e-newsletters). It is cram full of dance events from children's ballet and the National Youth Dance Company to Pina Bausch and Hip Hop with Sylvie Guillem, Akram Khan and Sidi Larbi Cherkaoui on the way. On Friday 23 November and Saturday 24 November Midsummer Opera will be giving concert performances of Beethoven's Fidelio at St. John's Church, Waterloo. A church which opened in 1824 to celebrate the victory of Napoleon, so a very apt venue for Beethoven's only opera. One of the first violins of the London Symphony Orchestra, Jörg Hammann, has formed a new orchestra, the Orchestra Musica Romantica. The orchestra makes its debut at London's Cadogan Hall on Saturday 1 December in a concert in support of ACTION medical research. With Hammann conducting, the orchestra will play The Moldau from Smetana's Ma Vlast and Grieg's Peer Gynt Suites. They will be joined by Hammann's colleague, Tomo Keller, assistant leader of the London Symphony Orchestra. 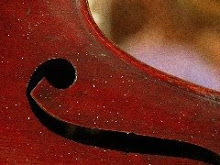 Keller will play Mozart's Violin Concerto No. 4 in D Major. When the Nazi's published their Index of forbidden Jewish musicians in 1943 there were six Waghalters listed, the composer Ignatz, his father Abraham, his brothers Henryk (a renowned cellist) and Wladyslaw (the violinist for whom Ignatz wrote his violin concerto), his daughter Beatrice and his niece Yolanda. By this time Waghalter had fled Germany to New York. 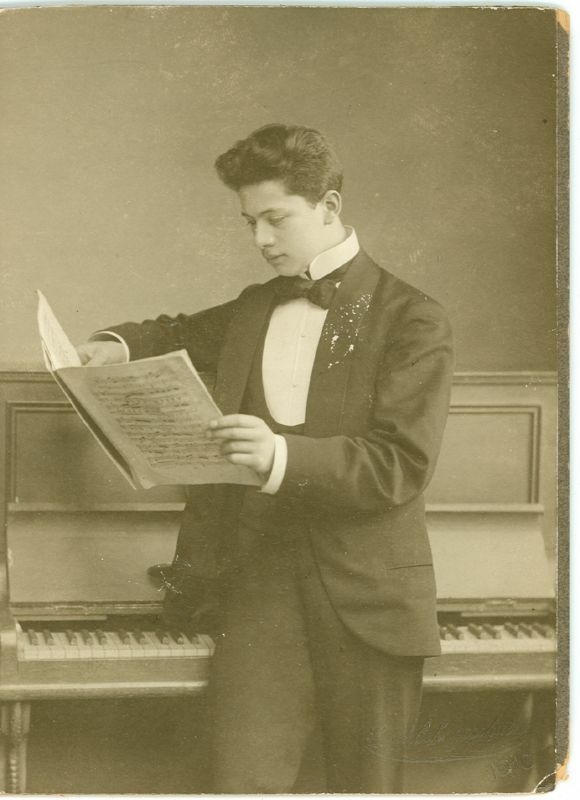 The composer had already spent a short period in New York as conductor of the State Symphony Orchestra but ever since his training, his career had been based in Berlin. Whilst in America he tried to launch an orchestra of African Americans, but this failed after one concert because people just weren't ready for it. He died suddenly in 1949 at the age of 68, leaving a trunk of papers which was stored in the attic of his daughter's house. 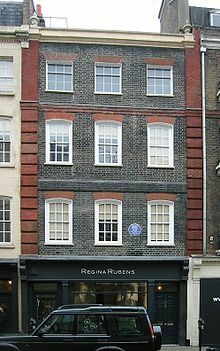 His music remained alive in the memory of his family and in the piano playing of his daughter Beatrice, but that is all. Sistema Scotland's new project, Big Noise Govanhill, has been awarded £1.325m by the Scottish government. The funds will enable Sistema Scotland to run the new project for four years, establishing a Big Noise orchestra in Govanhill one of the most deprived areas in Glasgow. The award funds come after a government commissioned report into Sistema Scotland's project in Raploch, Stirling expressed its approval. The Raploch project was started five years ago, and the new project will create a Big Noise orchestra in Govanhill aiming to 'to use music making to foster confidence, teamwork, pride and aspiration in the children taking part – and across the wider community. It is based on the methods of Venezuela’s El Sistema movement.' Further information from the Sistema Scotland website. South African baritone Njabuo Madlala (recently seen as Aeneas to Susan Bickley's Dido at the Wimbledon Music Festival) is singing in a concert on Friday 23 November at St James's Church, Piccadilly. The concert is in aid of the Amazwi Omzansi Africa National Opera Singing Competition 2013. Performers also include guitarist Ahmed Dickinson Cardonas, pianists William Vann, Ben Schoeman and Neal Thornton and band. The programme includes a South African Songbook, American Spirituals, Schubert, Schumann and Duparc. And if we are lucky, Madlala will throw in one of his entrancing performances of songs from his native country. It is that time of year, organisations are gearing up for the BIG GIVE, donations made on-line between 10am on Thursday December 6 and 5pm on Saturday December 8 will be doubled by sponsorship raised by the Big Give. Edington Organ Project is aiming to raise £3000 for their new organ at Edington Priory in Wiltshire. Currently they have £398, 771 of the £437, 041 needed. 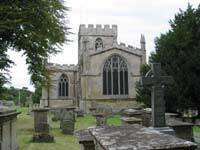 The new organ at Edington Priory will not only serve the parish but will transform the abilities of the Edington Music Festival to incorporate the organ into the music making. Coro Allegro is a Boston-based chorus for members and friends of the Lesbian, Gay, Bisexual and Transgender community, singing a repertoire of classical music. The choir has developed a strong relationship with the composer Patricia Van Ness. 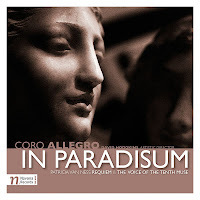 She spent a year with them as composer in residence and the two pieces on this disc (on the Navona Records label) were both commissioned from her by Coro Allegro. 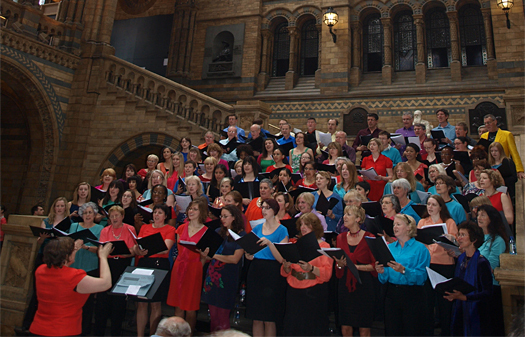 The choir premiered The Voice of the Tenth Muse in 1998, repeating it in 2001, with the Requiem following in 2004. The recordings on this disc come from these live performances in 2001 and 2004. On Easter Monday (1 April 2013), John Eliot Gardiner with lead a 12 hour marathon of performances of Bach's music at the Royal Albert Hall. The event comes a few weeks before Gardiner's 70th birthday, and will be the culmination of a series of Bach related activities including documentaries, a book, CD's and of course the marathon. 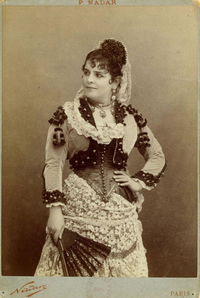 In 1873, shortly before the end of the first run of Bizet's opera Djamileh at the Opéra Comique, the theatre's directors, Camille du Locle and Adolphe de Leuven asked him for a new opera. 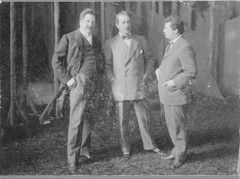 They wanted a light-hearted, three-act opera to a libretto by Henri Meilhac and Ludovic Halévy, suppliers of librettos to Offenbach. No subject was specified so Bizet suggested Carmen, based on Prosper Mérimée's novel. This might seem a rather strange subject matter for a popular, family opera but the 19th century operatic world is littered with the corpses of operas made from sanitised librettos. Bizet seems to have had a significant hand in shaping parts of the libretto, Halevy’s original verses for the habanera are far milder than Merimee. And his reaction to their softenings was, in their own words, ferocious. This year's International Wimbledon Music Festival includes a number of celebrity recitals and on Thursday 15 November tenor Mark Padmore and pianist Simon Lepper gave a recital of Beethoven and Schubert songs at St John's Church, Spencer Hill, Wimbledon. It was a joy to be able to hear Padmore in the relatively intimate confines of the church, and its acoustic proved to be surprisingly welcoming for lieder. The main work in the first half was Beethoven's song cycle An die ferne Geliebte with Schubert's Schwanengesang in the second half. Padmore's own short spoken introductions indicated how the cycles were linked through the Romantic concept of Sehnsucht. 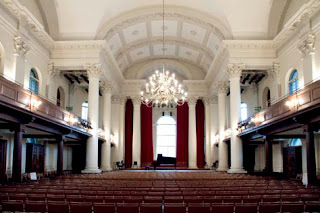 The January to March concert season at St Johns Smith Square has an attractive mix of events, with the opportunity to hear some unusual repertoire and a variety of fine ensembles both professional, student and voluntary and even sung services. There is Messiaen, Khachaturian, a celebration of Stephen Montague's birthday and even a Stanford premiere. If you so desire, you even can start off the New Year with a New Year's Day Concert from the Chartwell Ensemble with soprano Elin Manahan Thomas. To say that composer Ignatz Waghalter was little known would be an understatement. There wasn't even an entry on him in Grove until the composer's grandson had contacted Stanley Sadie and demonstrated his grandfather's significance in Germany in the year's before 1933. Thanks to Polish violinist Irmina Trynkos and conductor Alexander Walker, Waghalter's two concertante works for violin and orchestra have been recorded and released on Naxos. On Wednesday 14 November, Irmina Trynkos played both Waghalter's Violin Concerto and his Rhapsody for Violin and Orchestra, with Alexander Walker conducting the English Chamber Orchestra at London's Cadogan Hall. Rolf Hind's new work for the BBC Symphony Orchestra, The Tiniest House of Time is a concerto for accordion and orchestra. The work will be premiered on Saturday 24 November at the Barbican Centre, with Jakob Hursa conducting the BBC Symphony Orchestra with James Crabb playing the accordion. A suite from Janacek's opera The Cunning Little Vixen and Rimsky Korsakov's Scheherezade complete the concert. Garsington Opera have a appointed a new artistic director to replace Anthony Whitworth-Jones on his retirement. In an interesting move Garsington have appointed Douglas Boyd, currently chief conductor of the the Musikkollegium Winterthur in Switzerland; Boyd is also principal guest conductor of the City of London Sinfonia as well as having relationships with a number of American orchestras. He was formerly head of the Manchester Camerata and as an oboist, was a founding member of the Chamber Orchestra of Europe. He is by no means an opera specialist though, he has worked at Garsington (where he conducted Don Giovanni this year and returns for Fidelio in 2014) , Glyndebourne on Tour and Zurich Opera (conducting Salieri) with Opera North to come (conducting La Clemenza di Tito). Perhaps to strengthen the operatic experience in the Garsington admin, Brian Dickie (former head of Chicago Lyric Opera) and Jonathan Freeman-Attwood (principal of the Royal Academy of Music) are joining Garsington's artistic committee. It will be interesting to see how his appointment affects the company's artistic direction and choice of repertoire. Sopranos Gillian Keith and Anna Devin, with Nigel Foster on piano, are performing Debussy's complete Vasnier Songbook at the London Song Festival tonight (14 November) at St Paul's Church, Covent Garden. The recital includes unpublished material from the Paris and Washington (so someone has clearly been busy!). Debussy wrote the songs for Marie-Blanche Vasnier, a married woman with whom he had an affair from 1880 to 1887. Looks like this might be the first time all the songs have been performed together. Sounds like a good reason for being there! Further information from the London Song Festival website. Aleksandra Kursak as Adina in L'Elisir d'amore. I have to confess that, having heard Roberto Alagna singing at the recent Covent Garden Gala, I hadn't been much looking forward to hearing him as Nemorino in the latest revival of Laurent Pelly's production of L'Elisir d'Amore at Covent Garden. And when I arrived last night (13 November) my mood was not lightened by the fact that my press ticket was a seat in the Amphitheatre. As I was sitting next to a writer from another website, I could not help but get the impression that the web-hacks had been relegated to the cheap seats whilst those writing for papers were down stairs. December at the Barbican Centre sees a clutch of rather interesting concerts. 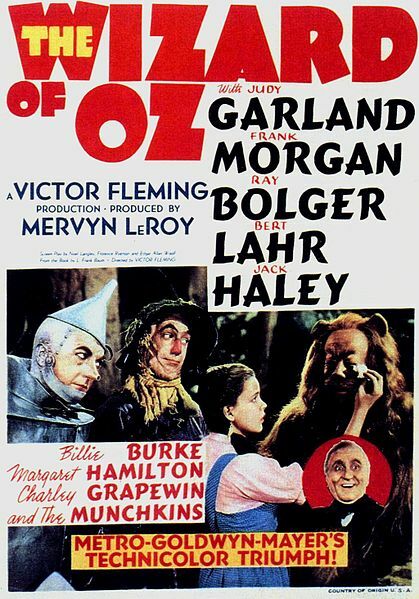 There is the opportunity to see the Judy Garland film The Wizard of Oz with a live orchestral accompaniment, there is also Berio's take on Verdi with the BBC Symphony Orchestra and Handel's stunning dramatic oratorios Belshazzar with an outstanding cast. 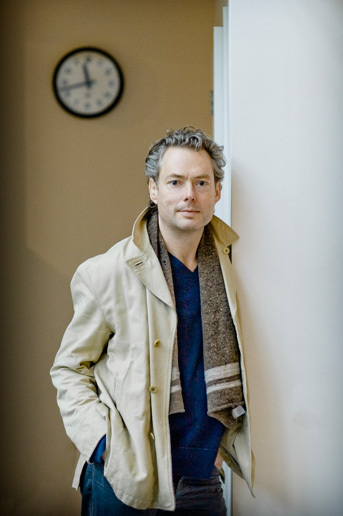 Simon Halsey has been announced as the London Symphony Orchestra's new Choral Director. 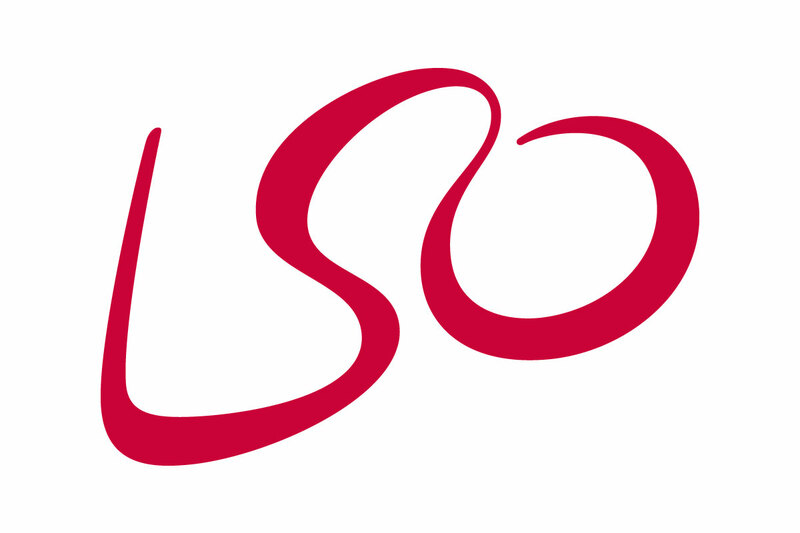 This role takes in the directorship of the London Symphony Chorus as well as having a role with the LSO as well, developing its choral activities including those involving the LSO Community Choir and the LSO's Singing Days. Halsey will be conducting the London Symphony Chorus at an inaugural concert at LSO St Lukes on Thursday 22 November in which they will be performing Jonathan Dove's The Passing of the Year (commissioned by the LSC in 2000), and Brahms's German Requiem, in the version with piano accompaniment (not an entirely satisfactory version despite having Brahms's apparent imprimatur, but it does enable smaller scale performances of the piece). 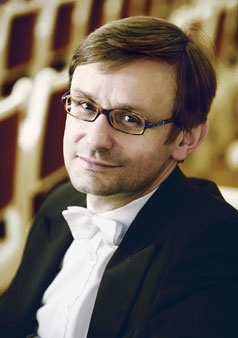 Soloists are Sophie Klussmann and Konrad Jarnot, the pianists are Phillip Moll and Holger Groschopp. Support the complete Warlock song edition.